Becoming a Kindle bestseller on Amazon can be accomplished in about thirty minutes a day, if you are willing to focus on creating an online marketing platform for yourself. I have now taken seven of my books to bestseller status on Amazon. This was purposeful on my part, and you can do the same thing if you’re willing to spend about thirty minutes each day getting the word out about who you are and what you do. 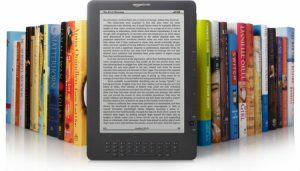 This is a training on how to become a Kindle bestseller that I highly recommend from having gone through it personally. By creating an online marketing platform you will then have the unique opportunity to position yourself as an expert and the authority in your niche. The information I share here with you will enable you to build your credibility, increase your visibility, and create the platform necessary to market yourself and your books to your target audience. The first step is to set up a hosted WordPress blog. Less than ten percent of Kindle authors are doing this, so right there you will be set apart from the other authors. Blogging changes the way you are perceived and enables you to leverage the power of the Internet to sell more books and other products. Let’s begin with a discussion on how to increase your credibility on the Internet. Think about your Mission and Vision for what you are doing in your business. What exactly do you stand for? The answer to this and other questions will help you to become the ‘go-to’ person in your niche. Tell everyone about your book! Listen to the questions people are asking about your niche topic. Be the person who answers these questions and provides valuable resources. Doing this regularly will help you to attract more of the right prospects and clients into your business. Mention your book every chance you are able to! Channels are also what I use to create a marketing platform for my books on Kindle. These include YouTube, Amazon’s author page, iTunes, and my social media pages. Channels make it possible for me to distribute my content, establish credibility and reputation, and massively increase my visibility. By sharing your lifestyle, values, knowledge, and opinions you can have an impact in the minds of your prospects around the world. A bestselling Kindle author is expected to have something to say on every aspect of their niche. I like to recommend the strategy of cross-promoting on your channels. For instance, talk about your videos on YouTube during your podcast; mention you podcast on your Facebook page; and discuss the use of social media pages in your videos. And, above all else, mention your book everywhere! Focus on creating your online marketing platform, and this will result in you becoming a Kindle bestselling author. This brings you more clients, more opportunities, and massive profits, and it can be done in thirty minutes a day. I highly recommend this training on how to become a Kindle bestseller so you can get started today. 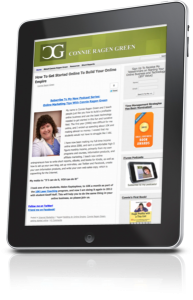 This entry was posted in Online Marketing Tips on April 24, 2013 by Connie Ragen Green. 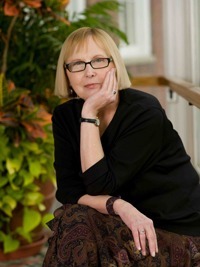 In this fifth episode of Online Marketing Tips With Connie Ragen Green, my new podcast series, I discuss all things Kindle! I shared my experiences as an author or eight books and contributor to many more, and how to get started as an author in this ever-changing marketplace. I also answer questions on a variety of topics related to writing eBooks, books for Kindle, paperback books, and hard covers. Our discussion included when and how to use Kindle Select, my strategy for publishing both with Create Space and Kindle, how long your book should be, why marketing your books is so important, the proper format for Kindle, recent changes to the Amazon affiliate program regarding free Kindle books, pricing your books for maximum profit potential, using press releases to sell more books, turning your books into products, and much more. Be sure to download your Study Guide to follow along with the podcast. I always create these to give you a frame of reference as to what I am discussing during that episode, as well as to share valuable resources with you. In this fourth episode of Online Marketing Tips With Connie Ragen Green, my new podcast series, I discuss the importance of connecting with other business owners from the very beginning in order to achieve success as an online entrepreneur. You can do this through Joint Ventures (JVs), paid online forums, and by attending live events. I also answer questions on a variety of topics, including the importance and value of blogging regularly, creating an irresistible free giveaway so people will join your list, creating your first product, using article directories and distribution services, finding relevant PLR (private label rights) content, choosing the right niche to get started online, creating eBooks and books for Kindle and how to best start marketing them, and much more. Be sure to download your Study Guide to follow along with the podcast. I will always be creating these to give you a frame of reference as to what I am discussing during that episode. Be sure to subscribe to this new podcast series over at iTunes. The Productivity Challenge for 2013 has begun! For the third year in a row I am hosting another productivity challenge during the spring for you to get moving forward in your online business. If you’d like to take a look at last year’s productivity challenge, it’s on my other blog at this link. We began on April 1, 2013 and will continue throughout the entire month with this challenge. You may join us at any time; simply leave a comment to introduce yourself to the group. What Exactly Is A Productivity Challenge? This is where I post to my blog every day for at least 21 days in a row (for 2013 it will be a 30 day challenge) to share the thinking, activities, and tasks you need to be implementing in your life and in your business to become a successful online entrepreneur. I like to do it in the spring of the year so that you are ready to be open to new ideas and new ways of building a profitable business. Productivity Challenge Day 1 – Today I would like for you to find three blogs on your niche topic. Make it a goal to read their posts, to leave comments, and to connect with the authors of these sites. What are they doing that is similar to what you are doing? How are they different? Learn as much as you can about these people and their sites and make some notes on what you like the most about them, as well as what does not appeal to you. We all learn by observing, implementing, and reflecting on what others are doing. This is also the beginning of connecting with colleagues with the idea of having Joint Venture partners in the future. A friend of mine used to be a travel agent before her son was born. Several years ago she asked me if she could book my flights when I went to events around the country, and now she has done this for me exclusively since 2009. We bartered for this service during the first year, and since then she has been a part-time independent contractor in my business. I write lots of articles. Seriously, LOTS of articles! I love writing them, but submitting them to the directories was tedious for me. A family member began doing it for me for three dollars per article, and now I have two people who do this as part of their work for me as Virtual Assistants. When I return from out of town (I travel every few weeks for business or pleasure) I like to have a few perishable food items waiting for me. I have a wonderful lady who lives in my neighborhood who does some shopping for me the day before I return. When I walk through the door I know that fresh strawberries, ripe bananas, Greek yogurt, and a few other delicious treats await me. She also goes to the post office, drops off and picks up dry cleaning, and waters the plants for me, working about ten hours each month in total. These are just a few examples of what other people can do for you to help you in your life and with your business. Running errands can eat up a sizable chunk of your time, so this is crucial to becoming a successful online entrepreneur. Today I want you to choose three activities or tasks that someone else can do for you, freeing up some of your time to work on your business. Let us know what things those are and how you will handle the delegation/outsourcing right away. Day 3 – List building is an activity you must engage in on a daily basis as an online entrepreneur. This starts with having multiple ways for people to join your list. Your hosted WordPress blog is typically the first site you set up, so make sure there is an optin box where visitors can exchange their name and email for your free giveaway. Next, set up an optin page that caters to a specific group of prospects. This should be a stand-alone page, where visitors have only two choices; opt in or leave. You can see an example of that at my Viral Report Marketing site. How many sites do you own and control where your prospects may join your list? I currently have almost fifty of these, but it all begins with the first one. Share one of your optin pages with us here by leaving a comment. Productivity Challenge Day 4 – It’s wonderful to see so many readers participating in the challenge! Congratulations on making the commitment to jump start your online business with this 30 day productivity challenge. Let’s talk about earning some income if you are just getting started. Affiliate marketing is the way many people get started, but even before you recommend other people’s products and services you can offer your own services to others. As soon as I learned how to set up WordPress sites I started doing it for a fee for people who wanted a custom site without having to pay for it. I continue to do this when someone signs up for hosting through my affiliate link. You can see how I’ve set this up by taking a look at this page. These are just a few ideas of ways you can earn money from work that is done online; there are even more ideas for offline work. Be creative with your thinking and see what you come up with. Much of the work I am describing here falls under the heading of being a Virtual Assistant; you may end up loving it and decide to continue doing it on a part-time basis as you build your business. Please share how you are earning some money on the Internet right now while you are learning to become a full time online entrepreneur. Day 5 – Continuing education is crucial to success, and every profession requires it. As an entrepreneur, take it upon yourself to be an ongoing learner. Reading is the best place to get started with your business education, and I have created a Productivity Reading List to share which books I am reading. I read physical books and books on my Kindle, and listen to audio books while walking, driving, or flying. 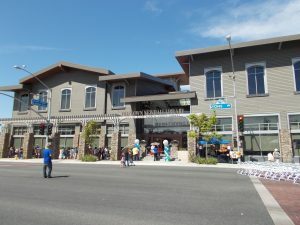 You will also want to frequent your local public library to find books and audio books, as I describe in greater detail in this post on online marketing research. You will also want to participate in online trainings such as this one, attend live events, and work with a Mentor to further your business continuing education. Be willing to devote thirty minutes each day to reading and learning. Please leave a comment to share your favorite business books and other ways of learning more about becoming an online entrepreneur. Day 6 – We’ve been discussing many things that are crucial to your online success, but today we need to get back to the basics of what you must have in place if you are going to earn money as an entrepreneur. The very first thing is your hosted, WordPress site. This is your ‘home on the internet’ where others can find out who you are, what you do, and how you may serve them. On Day 4, above, I explained how I do this at no cost to you, so if you still do not have a site you own and control you must stop what you’re doing and get that set up. A site on Blogger or Weebly is not a site you own, so take that into consideration if you want to build a profitable business for yourself. Day 7 – Before we go any further, I’d like for you to log in to the autoresponder service you are using and get to know it better. I use both Aweber (get started for only $1) and Kick Start Cart (it’s a licensed version of 1 Shopping Cart) to send my autoresponder and broadcast emails. I use both systems so that I am able to have greater control over my business, but you do not need to do this during your first year or so online. I also pay for an advanced tool to allow me to do things with my list that make it much easier for me to segregate separate lists and to change subscribers from one list to another, features that are typically only found in much more expensive systems. If you’re just starting out, I recommend that you use Aweber to set up your first, or next, autoresponder sequence. Spend some time today clicking on everything in the tool bar. This is how you get to know just what is available and how powerful this software is when it comes to building a profitable online business. Refuse to allow yourself to get caught up in the details of which service is best or how much it will cost each month (I pay by the year to save even more money). If you could spend a hundred dollars to earn ten thousand dollars, would you be worrying about how to save an additional twenty dollars? Of course not! That’s referred to by entrepreneurs and small business owners as ‘majoring in the minors’, which means getting bogged down in the details and minutiae. Rise above that and move profitably forward. If you already have a site, tell us where it is so we can take a look. Tomorrow we’ll be talking about your free giveaway, so if you already have one set up opt into your list again and see what it’s like for your prospects to do the same. Read over your free giveaway to see how you may want to change it. Productivity Challenge Day 8 – Today we want to focus on the free giveaway you are offering in exchange for someone giving you their name and email to join your list. Long gone are the days when we would opt in to someone’s list just to receive a newsletter or updates. Instead, we all want to receive something so irresistible we just can’t say no! The most popular way to compel new prospects to join your list is to offer them a short report on the exact topic they are looking for. This may take you some time to figure out, but once you do then it is just a matter of time before your list grows quickly. You will also use the same short report as a free giveaway to your social media community, to add to a membership site, and to send as a free gift to the people already on your list. The idea is to repurpose your content over and over again, getting your name out in a big way and building your credibility. Learning how to write and share this reports will change your business forever. I have an excellent training on How to Write Short Reports, and you may pick it up for only $17 by using the coupon code profit. That’s a twenty dollar discount. I write at least two new short reports each month. Today I’m writing one that Marlon Sanders will be using as a bonus for his new product. When the word gets out that you are able to write short reports on your topic, you will be in high demand. Another way to repurpose your short reports is to turn them into books for Kindle. For the purposes of your free giveaway, these reports need only be abut five to seven pages long. Day 9 – ‘What’s For Sale?’ Today let’s discuss making money online. The question you must ask yourself each day is ‘What do I have available for sale on the Internet?’ This means that in order to make money while you sleep, which I do every day, you must have opportunities available for people to find you, click on your links and make a purchase. If I sat in front of my computer today, credit card or PayPal info in hand, how could I make purchases of your own products or affiliate products where you would earn money? I currently have at least five thousand opportunities available, and I continue to add more each day. May a list of every place you can think of where there are links that belong to you. Start with your blog and see what number you can come up with. This is what I explain in the Special Report I just created for Marlon Sanders’ new WP Leads and Sales Dashboard. Share your thoughts with us here so that we can discuss it further. Thank you pages are the topic for today. Opt in to your own list and see where you are taken. This should be a thank you page that you or your tech person has created, specifically for your offer of a free report or other giveaway. Can you see what I have added to it? This is someone else’s eBook, through my affiliate link. Small changes like this will increase your bottom line exponentially. Day 1 – They receive a welcome email from you, thanking them for subscribing and requesting your free giveaway. Include a link to where they may access the giveaway, even if you have already given it to them on the thank you page. You most likely have already written this email message. Day 2 – Include some information about yourself, in relation to your niche topic. This is where storytelling comes into play, and it is very powerful. No one has dropped out of the sky, so be willing to share a little more about yourself with your prospects. Include a link to one of your blog posts so they will a) know you are blogging regularly and b) see what else you have to offer on your blog in the way of content, products, affiliate offers, and more. Day 3 – Include information on how they can further engage with you, such as on social media, with a teleseminar (I always have http://AskConnieAnything.com ready), or with an eCourse or upcoming training. This may be yours or an affiliate offer. Day 4 – Send them an offer – either to one of your products or to an affiliate site. The offer must be relevant to why they joined your list in the first place. Include a link to the page you are sending them to three times throughout the email. This works! Writing autoresponder messages may seem tedious to write and prepare, but they are gold when it comes to building your business as an online entrepreneur. Day 12 – Let’s discuss what to include on your ‘About’ page on your site(s). This is a separate page you add to your site. There is no right or wrong way to approach this, and you may take a look at mine at Huge Profits Tiny List and here on this blog to get some ideas. How are these two pages different? How are they similar? Include the link to your ‘About’ page so we may get to know you better and give you some feedback. I’d like to know what you think about mine as well. Day 13 – Allow your prospects the opportunity to hear your voice! Today I’m going to challenge you to host a fifteen minute teleseminar on your topic and to invite everyone you know to attend. I continue to use the Instant Teleseminar service for this, and you can get started with a 10 day trial for only $1 to see how it works. You may have noticed that all successful entrepreneurs use teleseminars to communicate with their community on a regular basis, and that’s because allowing people to hear your voice works extremely well in building relationships. Let us know when and where your teleseminar will be so we may join you. I started doing this several years ago without even thinking about it and now it’s just a part of how I do business. Some of the people I have connected with in this way include Dennis Becker, David Perdew, Marlon Sanders, Ryan Deiss, Armand Morin, Jason Fladlien, Wilson Mattos, and Ray Edwards. Who will you be connecting with to build a relationship for your online business? Productivity Challenge Day 15 – Congratulations on making it to the halfway point! Less than 10% of the people who started on Day 1 will make it this far, so no matter when you join us in the challenge you are now in the top 5-10% for entrepreneurial productivity if you’re working through the training each day. That’s why I’ve always said that there is very little competition on the Internet; most people give up, make excuses, or find something else to occupy their mind. If you’re still moving forward you have an excellent chance fir great success. Today we’re going to outline an idea for a new product. Spend about an hour on this and let us know what you’ve come up with. Purchase a domain name for it through my discounted affiliate link at GoDaddy and get your ideas down on paper. My new product will be on how to learn to be a virtual assistant. I bought the domain name, have made some notes, and will have it ready to go as a live course within the next 30 days. Speed of implementation is crucial to success. Make sure that a membership site is part of your new product. Geoff Hoff and Paul Taubman are starting a new course on setting up membership sites that I highly recommend. This will ensure that your new product brings you residual income so that you work once and get paid over and over again. What’s your new product? How will it serve your target market? Day 16 – Today we are revisiting the Day 13 tip on hosting your own teleseminars. Let’s talk about the most powerful tool you have at your disposal. It’s not your WordPress site, your list, your products, or even your relationships. No, it’s something even closer to you every moment of the day – your voice! The power of the spoken word is how you will connect with people all over the world, most of whom you will never meet in person. I started hosting my own teleseminars in 2007, and soon after began interviewing others this way. The technology is simple – everyone can use a phone! You can record your calls and use them as products, to recommend affiliate products, as podcasts, and as a way to try out new ideas with your audience. I have used the Instant Teleseminar service since it came out in 2007, and was in a Mastermind with its creator, Rick Raddatz, for a while. Sign up for a 21 day trial for one dollar, and invite us to your 15 minute call! After you have recorded your talk, have it transcribed into a short report. This can be used as a free giveaway, a bonus for one of your own or for someone else’s product, or as a stand alone product. The combination of audio and written content is a winner! Day 17 – Today is all about connecting with other like-minded people. The easiest way to do this while working from home as an online entrepreneur is to join a paid forum. I am a member of three forums, and the one I’m recommending here is the Earn 1K a Day forum, created by Dennis Becker. Introduce yourself first, and then take a look at the thread entitled ‘Breakthrough Challenges’. Also, connect with me there and I’ll introduce you around. This is where you’ll find JV partners, have access to valuable trainings and downloads, and be able to ask questions on anything and everything you’re working on. Some of my biggest goals have been met due to the relationships and information I have access to here. Day 18 – It’s back to reading today with books from the Productivity Challenge Reading List. I highly recommend reading each day for thirty minutes, and this would include books on your niche topic, books on business, marketing, success, leadership, time management and productivity, and anything else that inspires you to achieve your goals as an online entrepreneur. I stopped reading fiction when I came online and got serious about building a profitable business. Now I will occasionally read a mystery or novel, but I have come to love the education I receive by reading books from experts in my field of online marketing and business. Reading enriches your life in many ways, and as a former classroom teacher you would expect for me to feel this way. Share just one of your favorite books with us here, and I will add some of them to the Reading List. Day 19 – Show me the money! This is what most of us are looking forward to when we make the decision to come online and build a business. I’ll never forget how I felt in April of 2006 when I found out I had earned $21.60 in affiliate commission from the sale of an eBook through Clickbank. I jumped up and down and danced around, knowing that if I could make this happen once, I could do it over and over again. Sure enough, I have continued to earn money as an affiliate marketer, and that income stream continues to bring me about half of my overall income. In addition to the cash I earn, there are also many prizes to be one. I’ve now won fourteen iPads, and just last month I won two iPad Minis over the course of just one weekend. I do teach this several times a year, but for now I’d like for you to pick up my $7 Special Report, called Affiliate Contest Secrets. This is excellent if you are just starting out, as it includes the exact emails I send, the strategies I use, and the system you can put into place to start earning your own commissions and prizes. It’s 60 pages long and gives you a detailed, step by step plan to move forward right away. If you already own it, go back and read it again, word for word. One free tool that makes affiliate marketing much easier is the Pretty Link plugin. There is also a paid version, but start out with the free one (called Pretty Link Lite) for the first six months. 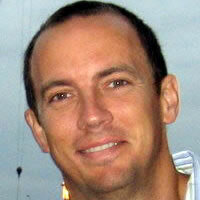 What questions may I answer for you on the topic of affiliate marketing tips and tricks? Day 20 – Are you ready for your close up? Create a short video and upload it to YouTube. Use OneTrueMedia.com or Animoto.com to get started, have a friend record you with a Flip or other simple camera, or record a screen capture with you doing the voice over. Videos are easier than ever before, it’s fun to create them, and people will be able to find you easily by the keywords you use. Leave a comment here to give us the link to the video you create. Take a look at my YouTube channel and also be sure to subscribe to get updates so you may have a better idea of how I’m incorporating videos into my online marketing strategy. Share the name of your channel here so we may subscribe. Day 21 – Today I’d like for you to reach out to three people who are successful in your niche. These should be people you have been following for six months or longer, ones you have purchased from, and also people you’d like to do a JV (joint venture) with in the future. Make every effort to contact them through their support desk, via email, on social media, or on the phone. Express your appreciation for what you have learned from them so far, and ask them how you may be of service to them with something they are currently working on. I know this is not as easy thing for me to ask you to do, but remember that I never ask my students to do anything I would not do myself. When I was first asked by my Mentor to do this in 2008 I felt like there was no one in the world who would be interested in working with me in a JV relationship. I contacted about fifteen people, about half of them responded within a week or so, and withing a year I had done JVs with four of them! I then saw that if I had the confidence to reach out to successful people and start a relationship with them, anything was possible. Let us know what happens. 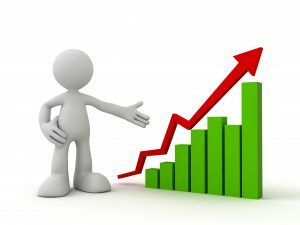 Day 22 – Are you increasing your visibility online? The best way to measure this is to ‘Google’ yourself. Go over to Google and type in your name in quotation marks (mine is “connie ragen green”). Print out the first page or two and keep it in a folder. You want to note which of your sites is listed first as the most important for your name (in Google’s humble opinion). Over time this number will grow exponentially if you are spending some time each day in getting your name and information out to the world. Some excellent ways to help this along include blogging; article marketing; setting up additional opt in pages; creating products; writing and publishing eBooks, Special Reports, and books for Kindle; through social media; and with teleseminars and interviews. Another important reason to do this is to see exactly what people will find when they do a search for your name. I was recently on a call with a top marketer and I innocently asked him about his new book on Amazon. I had found out about this in my search, and it turned out someone had copied his work and published it under his name. Within a few minutes he had contacted Amazon to begin the process of having the book removed, but he may not have become aware of this for quite some time if it had not been for my Google search of his name. ‘Google’ my name to get an idea of how this works, and then do it with your name so you can print it out for your files. Day 23 – Most of the successful people working today on the Internet got their start with affiliate marketing. By recommending what you love to others, you serve them by sharing what works for you while also earning some income. So, where do you find products to promote through an affiliate link? Start with what you have been purchasing for your own needs. You can become my affiliate at Affiliate Links and Tools. I also recommend purchasing a membership to the NAMS online forum and membership site, as well as Dennis Becker’s Five Bucks a Day book and audios. By doing what I am suggesting here you will have an inventory of more than fifty products to begin recommending to others. What questions do you have as you get started with affiliate marketing? Day 24 – Today is a ‘social media’ day. Change your profile on Twitter to reflect the new site you set up during the first week of this challenge. Send a tweet announcing your new site, and ask people to take a look. Do the same thing on LinkedIn. Better yet, connect your Twitter and LinkedIn accounts so that you can write it once and post to both. Then go over to Facebook, make sure you and I are friends, and tell me about your new site on my wall. Mention the Productivity Challenge so I know who you are and what you are referring to. Now go over to your YouTube Channel and edit your profile. Your final stop will be at Google+ to see what you need to add to your profile on that site. Please leave a comment if you will be joining us this year, and share a little about yourself, your business and your goals. You may begin the challenge at any time. Our Productivity Challenge teleseminar was very helpful to all who attended live. The replay is now available here. Living the Internet lifestyle is a life like no other. You have the time and financial freedom to live the life you choose, with no one to tell you that you can’t leave early or take the entire week off, and no one may limit the amount of money you earn. In other words, you are the boss when you become an online entrepreneur. No matter what you are doing right now, I can almost guarantee that you will enjoy this more. It’s also an opportunity to bring your family members and close friends into the business with you, sharing your knowledge and helping them to live a lifestyle of freedom and abundance as well. That is a great gift to be able to give to the people you care about most in your life, and I have been able to do this successfully several times. 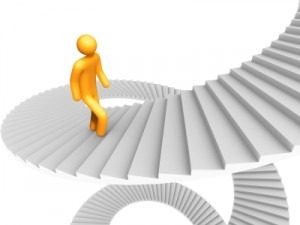 But starting an online business and making it profitable is just not that easy without a plan. I spent my first year struggling because I just was not sure what to do next. You need a process and system that is realistic, repeatable, and one that can be done by most anyone, regardless of their technical skills or other abilities. There are many people claiming to have this type of ‘system’, but once you spend your hard earned money on their programs you see that they do not work at all. This leads to frustration and disappointment and it’s why many people believe that Internet marketing does not work and sounds too good to believe. If this describes you then you know what I mean. People come into my programs regularly whom have had this type of unhappy experience. Well today I have good news. There is a training program out now, and out only for a short time, that can and will change everything you thought was true about building a profitable business as an online entrepreneur. If you know me at all then you know that I hate hype and false promises, so please allow me to explain why I believe this program is a game-changer. Then, if you feel compelled to do so, use the link you will find below to learn more and get started. I bought this product on the day it was released and have gone through it completely. I would never suggest it to you otherwise. It comes from a trusted source – I have known the person behind this product (Ryan Deiss) for five years now and I have benefited in a huge way from other programs of his I have been involved in. Ryan has now added the upsell to the member’s area at no additional cost. This is huge. It’s very affordable. You should be able to easily afford this and there are almost no “after the sale” costs to worry about. The investment is a one time cost of $241 or three monthly payments of $97 each. This is something anyone can do. I know you can do this. The reason I can say so is that Ryan has made this process both easy to understand and incredibly easy to duplicate. He not only gives you access to the people who do the work for him; he actually does the beginning work for you. Let me repeat that last point because it is important and you may have skimmed over it. Ryan’s team will do the work for you to get you started. We’re talking set up, hosting and much much more. That alone is a very big deal. I’m offering a Bonus that I will extend to you if you sign up right away. The Bonus is three full months of my Mentor program, where we meet three times a month on a Tuesday or Wednesday evening at 7 pm EST for a webinar. I teach you everything I can, answer your questions, share your sites with the group, and help you to connect with others for Joint Ventures and more. I’ve been hosting this Mentor program for four years now and many of my people have been extremely successful in their various niches. You also have email access to me during that time, and I will answer one question a day for you Monday through Friday, personally. Ryan’s program is here. Watch the video (it’s 28 minutes long), have an open heart and mind, and then decide if this is for you. Once you sign up please email me by responding to one of my emails to you and let me know you are in. I will confirm your purchase of the program and add you to my student list. Enjoy your weekend and let me know if you have questions. Today we discussed the 2013 Productivity Challenge in greater details, and I answered everyone’s questions on how to build a profitable online business. It’s not too late for you to get involved and change your business in a way that works for you. The new Productivity Challenge addresses the recent changes in online marketing, as well as the needs of those coming on the Internet to become online entrepreneurs. 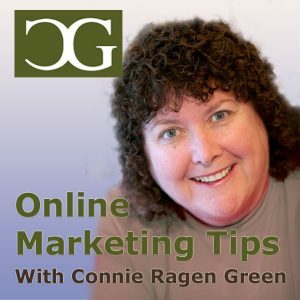 In this 7th episode of Online Marketing Tips With Connie Ragen Green, my newest podcast series, I answer detailed questions about what we are working on each day as a part of this year’s challenge. We cover a variety of topics, from knowing when we should outsource some of the tasks to how to start monetizing the business. At the end of April, when we are a the end of the Productivity Challenge, we will have another call to connect with everyone who is still on board. In years past I have had many students jump start their online businesses with this complimentary training. I also answer questions on a variety of topics related Internet marketing and online business success, including which plugins to use on your WordPress sites, how to become my affiliate to promote my products and courses for lifetime commission, choosing high quality PLR (private label rights) content for niche sites, using Squidoo to create a variety of sites to recommend your own products and services as well as those you are an affiliate for, setting up eCourses in your autoresponder sequence, publishing for Kindle, and much more. Be sure to join us for this year’s Productivity Challenge! 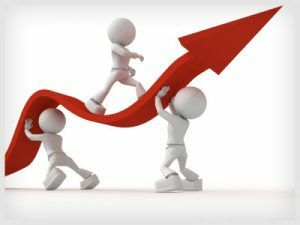 Also, you can now pick up my training on winning affiliate contests for only seven dollars at Affiliate Contest Secrets.